At the April 11 regular session of the Montpelier Exempted Village Board of Education, District Treasurer Carla Rice reported that financing for the building project is continuing, with the targeting of a $1.7 million note. Huntington Bank has extended a 2.9 percent interest rate, and associated paperwork will be presented at the May Board meeting. Ms. Rice also noted a need for correction of the minutes for the Organizational meeting dated January 10, 2017, specifically Resolution #07-17 and a need to remove the legal counsel of Peck, Shaffer, & Williams, LLP, as their firm was bought out by Dinsmore & Shohl, LLP. The Board accepted donations of $25.00 from the Black Swamp Arts Council for the Art Show, and $3199.00 from an anonymous donor to the Softball program. $100.00 was accepted from the Class of 1977 for the Memorial Brick Pathway, and $200.00 Athena Study Club and $100.00 from Moore Industries to the Robotics Program. High School Principal Su Thorp reported that a contingent of 44 Montpelier High School seniors attended the Job Fair at Northwest State, with some of them securing summer employment in the process. Ms. Thorp also reported that the Montpelier Robotics Team competed at the National Robotics Challenge in Marion from April 6 – 8. 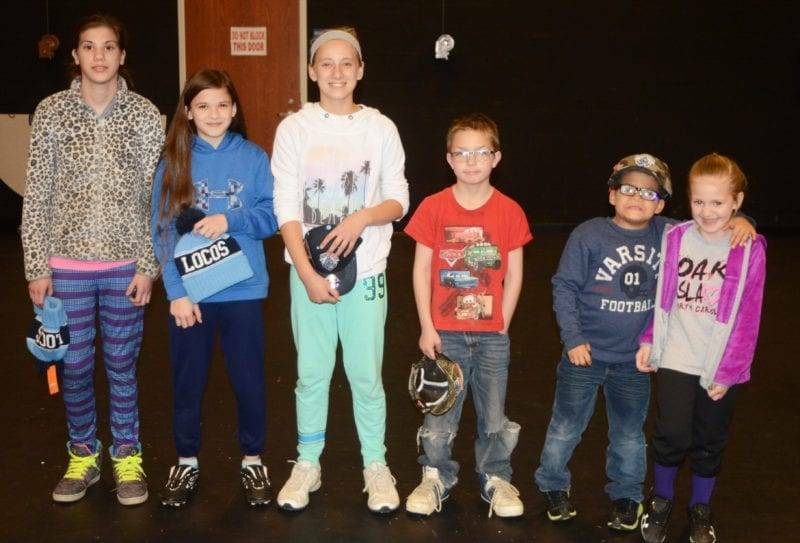 Being divided into competitive teams, Montpelier received two of the 16 Honda Innovation Awards, competing in robo-hockey where their teams placed first and third. In personnel moves, the Board extended a 5-year administrative contract to Joe Brigle as Athletic Director, along with 2 year limited contracts for the 2017-2018 school year to Gabriela Almeida, David Apple, Jennifer Carpenter, Khrysta Coleman, Katy Corkle, Michelle Hamrick, Kaylene Harpring, Fara Neff, Sara Nowaczyk, Jimmie Phillips, Pamela Schroeder, Brandon Shoup, Jennifer Tod, Wendy Chamberlain, Kara Custar, Phyllis Johnson, Amy Riggenbach and Kaitlin Tippin. Continuing contracts were awarded to Cathy Bowman, Linda Cummings, Jodi Grime and Taccara Gibbs, while Jim Lee, Vicki Martinich, Susan Cliffton, Michael Martinelli, Connie Shoup and Lisa Tippin each received a 1 year limited contract. Brooke Gearig, Megan Lamberson and Tammie Mercer Chmielewski were hired as summer school teachers for the 2016-2017 school year, and David Bauer was named a summer technology assistant at $15 per hour, not to exceed 200 hours for the 2016-2017 school year. The Board extended a 1 year limited contract for Pamela Schroeder as half-time home economics teacher, moved Alysha Sloan to Master’s +24 for the 2017-2018 school year, approved LeAnn Moser as a gifted services coordinator at $335 per diem, with 18 contract days and no benefits including sick leave, and approved a 3 year administrative contract for Gerry Dewire as kitchen manager at $24,000 for 192 days for the 2017-2018 school year, also agreeing to payment for up to 40 hours worked prior to August 9, 2017, at $15.63 per hour. The Board accepted the resignation of Len Etter, effective April 21, 2017. A 1 year agreement was ratified with Trent Shoup as technology assistant at $10 per hour, not to exceed 1400 hours, and Michael Frisby and Susan Cliffton as summer custodians for the 2016-2017 school year. Pamela Mercer was added to the substitute aide list and the substitute cafeteria list, and Melissa Tippin was approved as a Locomotion volunteer for the 2016-2017 school year. The Board gave their consent to the National Archery Tournament trip to Louisville, Kentucky from May 11 to 13, 2017, as well as the Montpelier High School Band and Locomotion trip to Walt Disney World Resort in Orlando, Florida on March 23 to 27, 2018. Be the first to comment on "Montpelier Board Learns Of Building Project Financing Plans At April 11th Meeting"